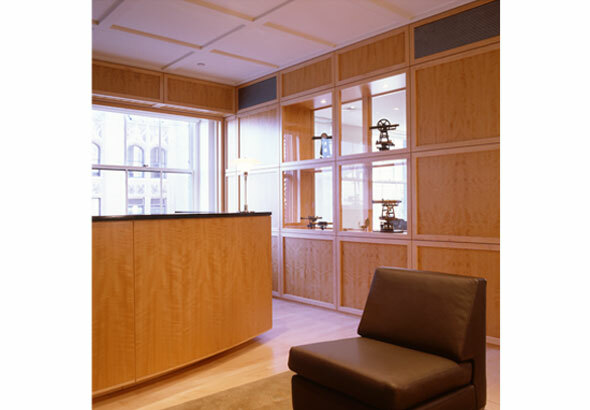 For the offices of an established Manhattan general contractor, it was paramount that the design convey permanence and solidity to appeal to both the modern and traditional sensibilities of the firm’s diverse clientele. It was also important that the activities and functions of the office be exposed in open view. 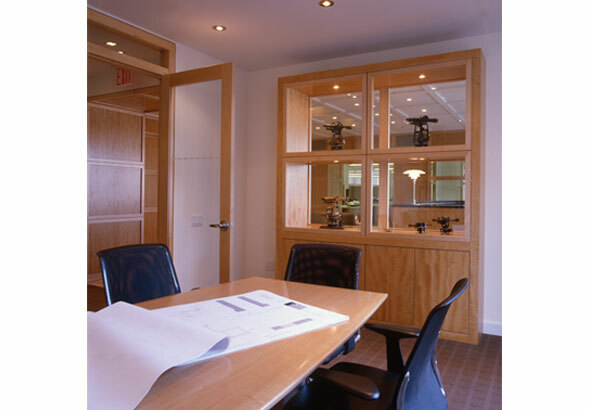 The reception area is a three-dimensional grid of clear finished anigre panels and glass display cases set into an intricate system of maple stiles and rails. 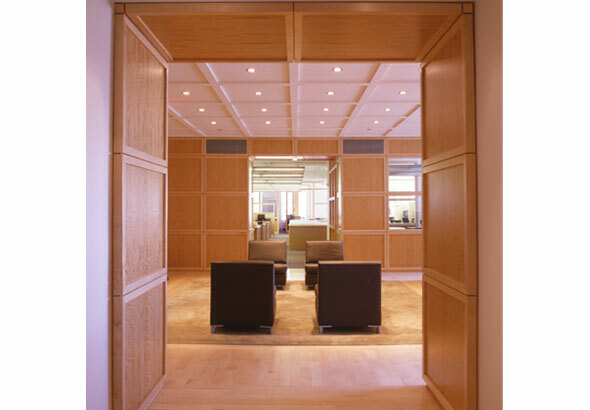 This grid creates several interesting moments: an entry portal, a main axis connecting work spaces to conference areas, and a backdrop for a large, curved reception desk. 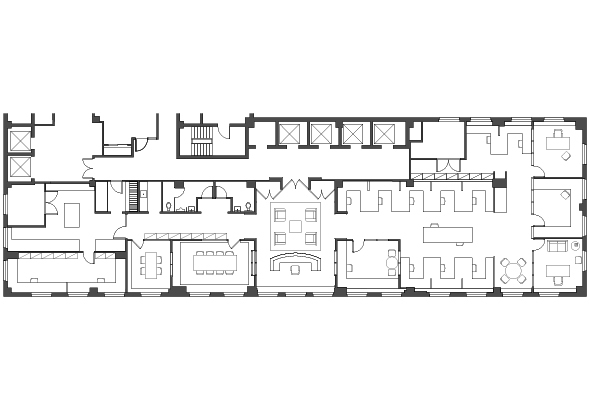 Dynamic vistas into and through the residual spaces transcend the static nature of the grid.